Tocharian and Indo-European Studies is the central publication for the study of two closely related languages, Tocharian A and Tocharian B. Found in many Buddhist manuscripts from central Asia, Tocharian dates back to the second half of the first millennium of the Common Era, though it was not discovered until the twentieth century. 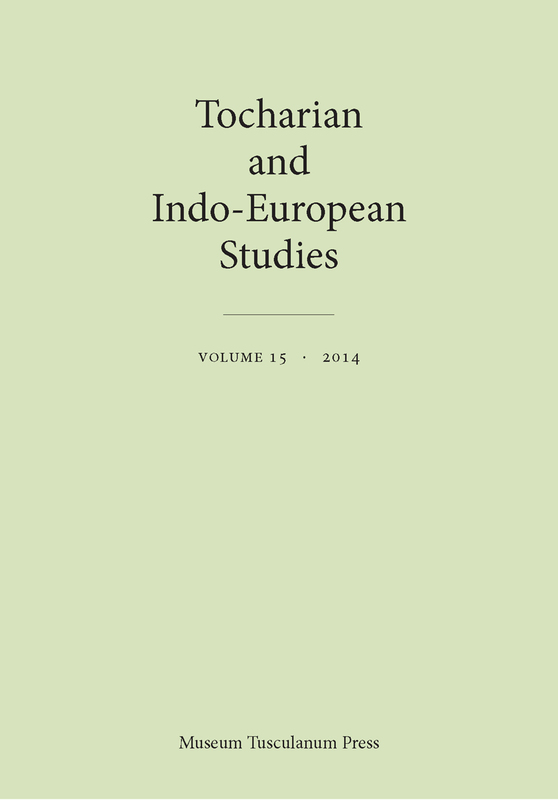 Focusing on both philological and linguistic aspects of this language, Tocharian and Indo-European Studies also looks at it in relationship to other Indo-European languages. This issue addresses topics such as the function and origin of the present suffix “-sk,” verbal endings, the words for “fear” and “perfume,” secular documents, and Tocharian glosses in Sanskrit manuscripts.